The month of January was bad for law enforcement. More than a dozen officers lost their lives in the line of duty with minimal coverage or follow-up, particularly in the case of an officer murdered in her home. A year and a half ago, when similar incidents were occurring frequently and there was a negative focus on policing in general in the media, Cowboys for Cops was started. It was the name given to a special weekend particularly in the PRCA in which contestants were urged to where blue. 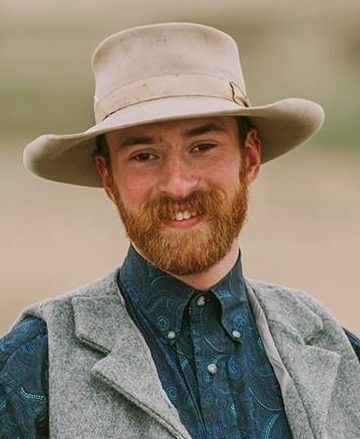 We hijacked it as a hash tag and turned it into an ongoing initiative encouraging cowboys and bull riders to ask the police they encounter at events and on the road, how they can pray for them. They’re encouraged to take selfies with the officers and use the hashtags #CowboysForCops and #CowboysOfTheCross to help this initiative spread. 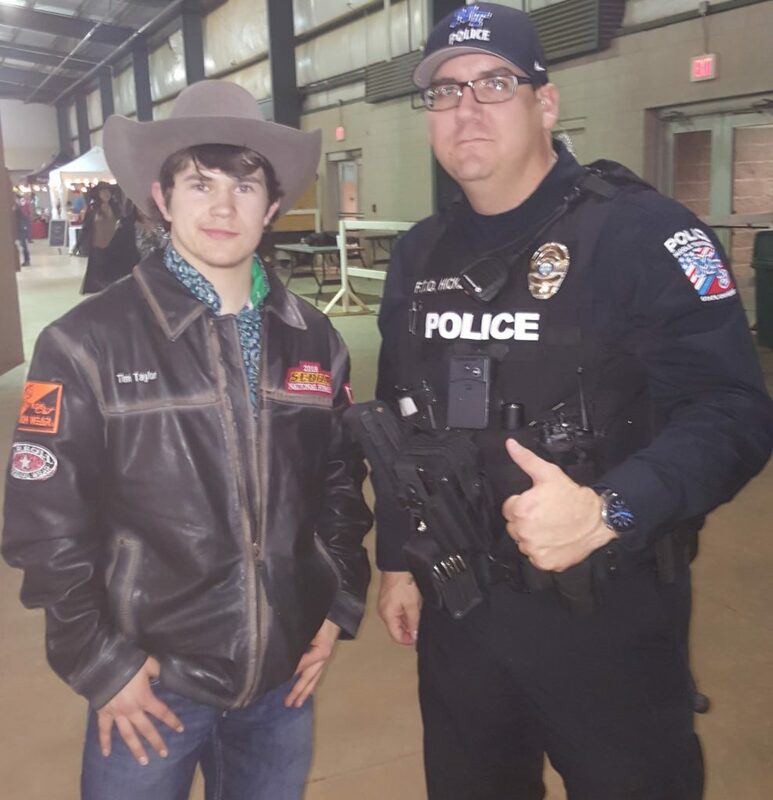 The rodeo and bull riding community has more opportunity to connect with police than the average person. No, not because we get in trouble all the time, but because we’re at large and public venues which means a police presence becomes necessary. That means we have a great opportunity to be an encouragement to these men and women who risk their lives to protect us. But let’s look at some Biblical reasons this initiative is important. Ephesians 6:18 And pray in the Spirit on all occasions with all kinds of prayers and requests. With this in mind, be alert and always keep on praying for all the Lord’s people. By choosing to pray with these officers, we are simply living out biblical illustrations of what the Christian life looks like. Daily prayer is a significant part of that. Most people, even if they do not believe in God, will not be offended if you ask how you could pray for them and it can become an easy way to talk to someone else about Jesus. But more importantly, what I want us to see how easy it can be to carry out a simple verse from Galatians in which we’re shown the need to carry each other’s burdens. Just knowing someone cares about you and is willing to pray for your needs can ease a burden and leave a person feeling encouraged. As we gather more photos from cowboys and bull riders interacting with police, we’ll share them to social media but also to the website www.cowboysforcops.com and encourage you to point officers to the site. Think of how encouraging it can be for them to see different pictures of you guys caring enough about them to pray for them. Through pointing others to the site, one person’s simple act of praying for an officer can go a long way to encourage even more when they see these photos. You can also help by sharing this post and encouraging others to do this. 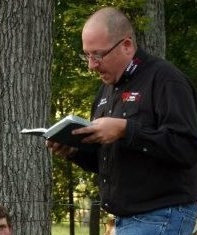 We most recently had a chance this weekend (Jan. 25 and 26) to pray with one of the officers providing security at the Southern Extreme Bull Riding Association Finals in Murfreesboro, TN. In the photo is Finalist, Tim Taylor with MTSU Police Officer Jason Hicks. Officer Hicks joined us in the locker room for cowboy church Saturday night and afterward, a couple of us prayed for him. He is hoping to lead a team of youth on a mission trip to Guatemala. Officer Hicks then turned the tables on us by asking how he could pray for us. 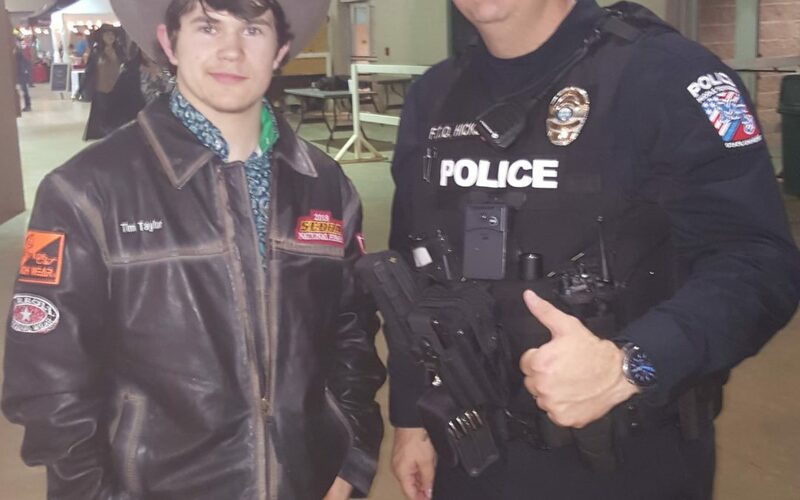 Indiana Bull Rider Tim Taylor with Middle Tennessee State University Police Officer Jason Hicks. Hicks was prayed for in the locker room at the SEBRA National Finals after cowboy church on Jan. 26 as part of a relaunch of the Cowboys for Cops Initiative. If you find it too uncomfortable praying with an officer on the spot, it’s okay to commit to pray with him after, but we do encourage you to try. It means even more and no one expects us to pray perfectly or have all the right words to say. It’s the action and intent behind it and God knows what’s in your heart as you stumble through it. The officer does too. your frustration show in various ways when things didn’t go exactly how you wanted them to. righteous anger. Examples of righteous anger are given in the Bible, such as God’s anger about sin. Sometimes we experience righteous anger about our own or our brother’s sin, but we need to take care to consider whether such anger stems from recognition of our own unrighteousness in the presence of a holy God, or simply our own wretched pride. 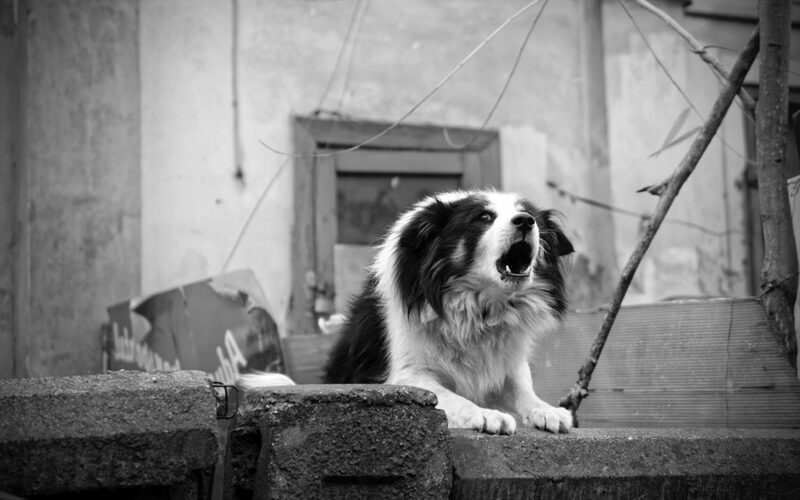 Anger that originates in sinful motivations is still sinful, whether or not it appears to be justified on the surface. leave that disobedient so-and-so in the pickup. reason had something to do with things not going exactly how you had them in your head. Another way to put it would be to say your pride put you in the place of God in that moment. that you are allowing sin to have a stronghold in your life. our lives, even as our sinful flesh seeks that honor for itself. Paul, in Galatians 5:16-26, tells us to walk by the Spirit and in so doing to suppress the desires of the flesh, such as fits of anger. anyways: His honor, not our own. Galatians 5: 16-26 16 But I say, walk by the Spirit, and you will not gratify the desires of the flesh.17 For the desires of the flesh are against the Spirit, and the desires of the Spirit are against the flesh, for these are opposed to each other, to keep you from doing the things you want to do. 18 But if you are led by the Spirit, you are not under the law. 19 Now the works of the flesh are evident: sexual immorality, impurity, sensuality, 20 idolatry, sorcery, enmity, strife, jealousy, fits of anger, rivalries, dissensions, divisions, 21 envy, drunkenness, orgies, and things like these. I warn you, as I warned you before, that those who do such things will not inherit the kingdom of God. 22 But the fruit of the Spirit is love, joy, peace, patience, kindness, goodness, faithfulness, 23 gentleness, self-control; against such things there is no law. 24 And those who belong to Christ Jesus have crucified the flesh with its passions and desires. 25 If we live by the Spirit, let us also keep in step with the Spirit. 26 Let us not become conceited, provoking one another, envying one another. Greetings from the Horton clan! The past few months have been very eventful. While working full-time (and then some), I am also working through the latter part of my Master of Divinity degree via online classes with Moody Theological Seminary (Chicago). 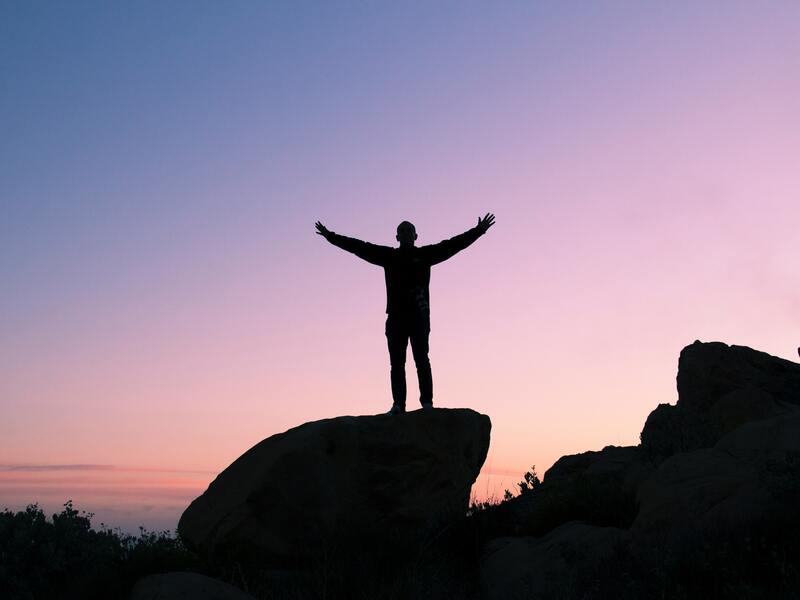 In addition, I completed a 6-month transitional interim pastorate at a small local church that is struggling with issues of identity and leadership. To say my plate has been full is an incredible understatement! But through it all, God is working. He prepared me and equipped me in every circumstance for ministry opportunities, both locally and through Cowboys of the Cross. 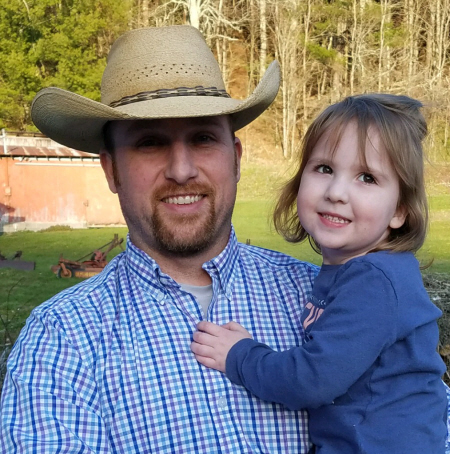 Then, just as my wife was diagnosed with uterine cancer and expecting surgery to address it, my class load dwindled to half the norm, my interim pastorate ended, and I’ve found myself with time to enjoy and care for my family. God’s sovereignty is clear in every circumstance of my life. All of this, especially in this time of year, reminds me of the hundreds prophecies given to Israel through its prophets. Hundreds of years before the birth of Jesus, it was promised that Messiah would be born to a virgin, of the house of David, born in Bethlehem, exiled to Egypt, and all before the second temple period ended in 70 AD…and that’s only a handful of the specific things that were promised and fulfilled in Jesus. Our God made promises to Israel, and he was faithful to keep those promises. Some of these promises, however, are yet to be fulfilled. We are told that Messiah’s governance would know no end, and that he would rule and reign over all the nations of the earth. Jesus promised that he would return to set up his kingdom, fulfilling those prophecies. Just as surely as we’ve seen hundreds of Old Testament prophecies fulfilled, we can trust the Jesus’ promise – and God’s yet unfulfilled promises about Messiah – will also be fulfilled. What a blessed hope we have! Our King will reign, and his rule will know no end – a rule filled with justice, peace, and righteousness! That is the hope that makes enduring the drudgeries of life more bearable. I pray that you will cling to that hope with me this Christmas season and always! And if, by chance, you find yourself without that hope I’ve described, please contact us at Cowboys of the Cross to find out how you can begin your hope-filled relationship with God; do it now – don’t delay. Grace & peace to you in the name of our Lord Jesus Christ! Merry Christmas from the McCarthys! While it’s easy to get caught up in the hustle and bustle this time of year, I pray we all take time to reflect on why we are celebrating. During this advent season, I am reminded of the faithfulness of God. Since the third chapter of the Bible, God has promised His people a Savior. this joyful season, is the Savior Jesus Christ. I hope that this Christmas, we can all remember God’s faithful love and grace for His people. Merry Christmas and as always, Soli Deo Gloria! The past several days on social media up until Christmas, I’ve been sharing some “favorite things”. It’s been a chance to share a little more on the personal side and reveal some more of who I am. I may post a lot of goofy content and share some personal anecdotes or thoughts and feelings but outside of teaching or trying to give you guys some devotions to learn from and offering opinions, hopefully with a Biblical slant, on issues we’re facing, I keep a lot of my life pretty quiet. I don’t like the spotlight despite being the one who most often gets to stand in front of some of you leading cowboy church at rodeos and bull ridings. That’s because it isn’t supposed to be about me. It’s about Jesus, the Savior whose birth we celebrate and recognize through Christmas. Because of that, it becomes a difficult struggle finding ways to get your attention on social media, but using that, ultimately to direct you to the content we prepare to try to teach and disciple you and, most of all, point you to Jesus. It also isn’t about the ‘things’ I’ve been calling attention to or the ‘things’ that are unwrapped after being displayed under our Christmas trees. Unnoticed by most, I slipped an important Bible verse into the first picture I shared of my Charlie Brown Christmas record and the reflections on the significance that played in my childhood. The verse was Matthew 6:19-21 19 “Do not store up for yourselves treasures on earth, where moths and vermin destroy, and where thieves break in and steal. 20 But store up for yourselves treasures in heaven, where moths and vermin do not destroy, and where thieves do not break in and steal. 21 For where your treasure is, there your heart will be also. It’s a simple caution to remember that what we have here is so temporary and what we should be focused on is Heaven, our eternal home, where we really belong. We celebrate the birth of Christ but we can’t focus on the ‘baby Jesus’. He grew up to be a man who died a horrific death, taking on the punishment of our sins so that with a saving faith in Jesus’ life, death and resurrection, with a repentant heart seeking forgiveness for our sins, we could be reconciled with God and ensured entry to our permanent home in Heaven. We can get so focused on the ‘stuff’ that we forget, not the birth of Jesus, but its significance. That’s why in Matthew, we’re reminded that our hearts need to be focused heavenward. What a glorious time we have in the Christmas celebrations, as we spend time with friends and family and give and receive gifts, to let ourselves be reminded to do just that, look heavenward and praise and thank God for sending His son. It’s a cliche to say it, but Jesus really is the reason for the season. Love you guys and look forward to serving you more in 2019. You have goals you want to achieve. People in the rodeo and bull riding industry have unique sets of goals within the sport on top of the goals everyone sets for their lives. There’s a finals you want to qualify for, a time you want to beat, a bull you want to win a rematch with, a buckle you want to earn or a horse you’re training with goals for him. When we don’t meet those goals, we can sometimes get frustrated or discouraged. It leads some people to quit. But if we look at our goals through a Biblical perspective, we don’t have to ever get discouraged, especially when we put God in front of them. But here’s the kicker–that might change your goals completely. Once you look at how your choices can glorify and honor God or can carry out the Great Commission–that assignment God gave us all to share the gospel and teach and equip other believers–our goals or the reason for achieving them can easily be changed. That doesn’t mean you suddenly don’t try to qualify for a finals, but you find yourself putting God first in that journey. Suddenly, the pressure is gone. You might even fail to achieve to accomplish what you set out to do, but the biggest accomplishment turns out to be how God used you in the process. Instead of being discouraged, you look back on the steps taken to achieve the goal, so the way that God was glorified in your choices and actions, and you find yourself feeling good about the experience. Fail or succeed in our own minds, it’s His plan that will be carried out perfectly using us, His imperfect creation. Sometimes His plan is to let us fail to teach us and help us grow and sometimes that’s going to come out of us struggling with sin. As strong as we want to think we are, it can take real strength to admit how easily we let ourselves be tempted into sin…. That we weren’t strong enough on our own. We aren’t. That’s ok. Because God will be the strength we need to overcome what feels like a failure or a struggle with sin. And God’s grace will cover us when we mess it up. His love and grace is bigger than any sin or failure we feel we’ve experienced. ‘Give thanks to the Lord, for He is good. God’s love endures through all things and each of all 26 verses of this Psalm end with the words, “His love endures forever.” Each verse offers a reason the Psalmist is thankful, many of the reasons relating to all the lengths God went to in rescuing the Israelites from Egypt and taking them to the Promised Land. He also thanks God for everything He created. Much like when families and friends go around the table describing what they are thankful for at Thanksgiving dinner or what gets shared in prayer before the meal, the Psalmist gives thanks for everything God has provided. But in the Psalm, he reminds us of just how big God’s love for us is. It’s endless and will never stop. Never. The Thanksgiving season is here and gives us an occasion to pay special attention to what God has provided for us but just as His love for us is always present, our thanks is always present when we realize what God did for us out of His love–sent Jesus to die on the cross for our sins. Out of that sacrifice comes a chance to repent of our sin and confess Jesus as Lord and Savior so that we can be forgiven our sins and made right before God. Without that forgiveness, that God freely offers those who ask for it, we face God’s judgement and punishment of our sin. His love is unending, but what God won’t tolerate is sin. It has to be judged, but in what is more than fair, God loves us enough that He sent Jesus to take the punishment for our sin. Through the realization of what he did for us and the salvation we can freely receive from that act of love simply through believing, repenting and asking to be saved, we become naturally thankful to God. 1Thessalonians 5:18 In every thing give thanks: for this is the will of God in Christ Jesus concerning you. Paul reminds us in his letter to the Thessalonians that we need to give thanks for everything. Knowing that God’s plan is perfect, that even means finding a way to be thankful for what we don’t think is fair or good or right the way we measure it. It means being thankful for all that He has given us that we love and take joy in, but also realizing that if everything works out to the goodness God intends, our own struggles can be part of that and we can be thankful for those as well. 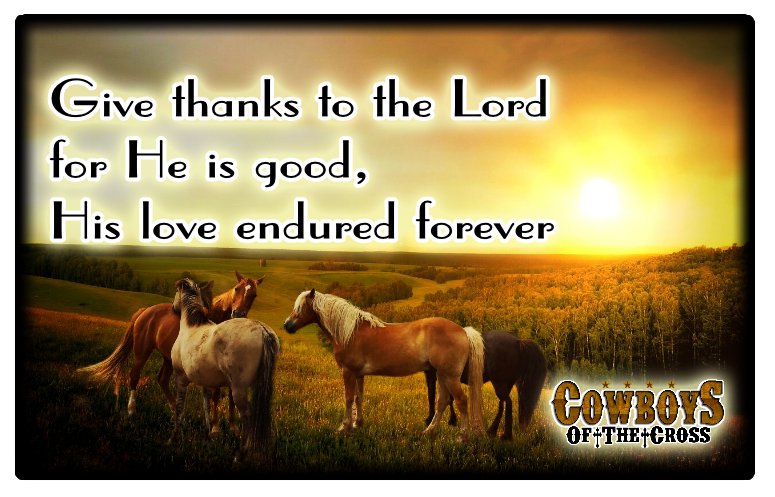 A bad wreck coming around the third barrel, a roping horse coming up lame before the finals or a broken femur bucking off a bull can feel like huge setbacks, but what we can’t see in what God is doing through those setbacks can turn out to be some of the biggest blessings, especially when He uses them to change us and draw us closer to Him. God’s love for us is unending. Our reasons to be thankful can be too.